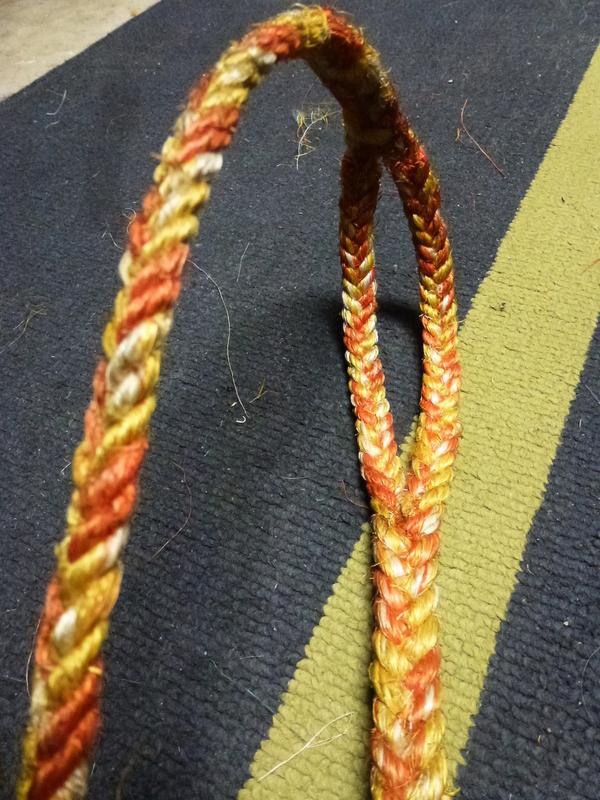 I have dedicated myself to making the perfect grass fiber slings. 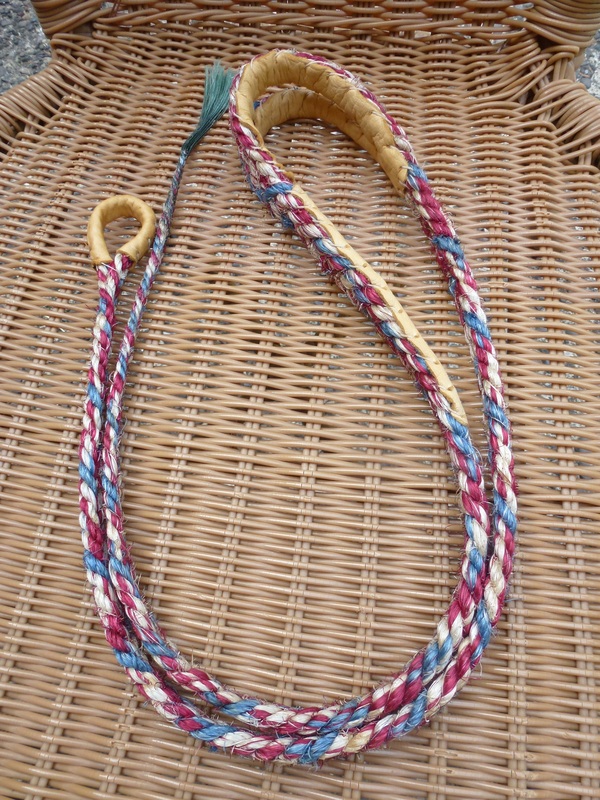 All of my slings are made from sisal and are hand woven in Washington State, USA. I guarantee superior weaving quality. I don't cut corners. If there is a mistake I back up my weave and do it over until it is right. 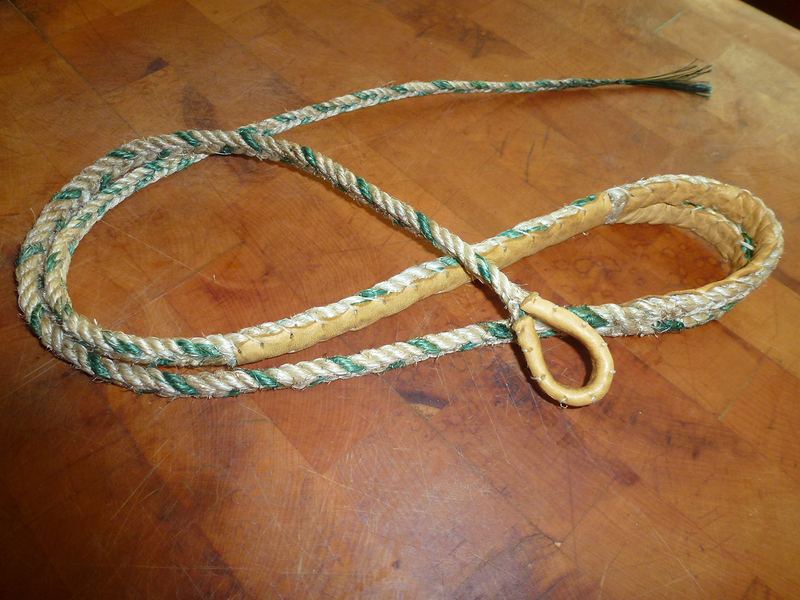 You also get a synthetic whip added which is unique to Huntsman slings. This means you get the advantages of a natural fiber sling with the toughness of a synthetic all in one sling. 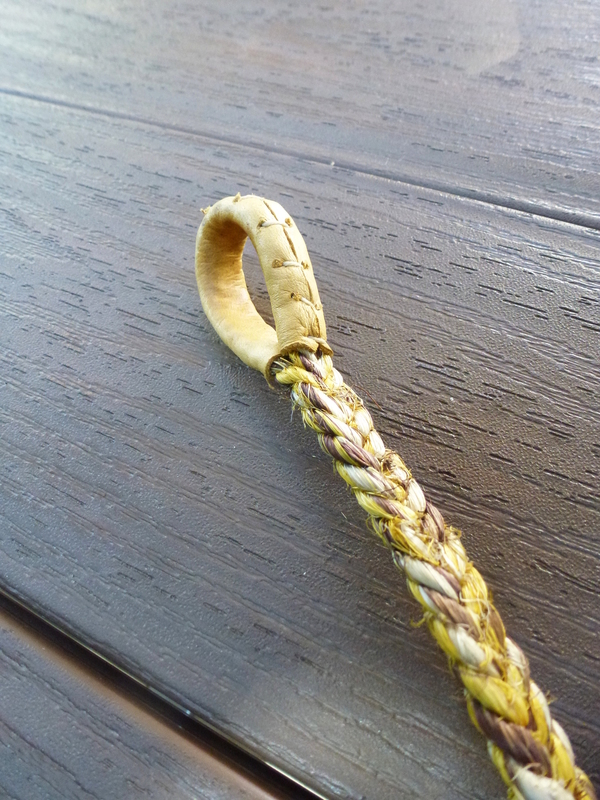 You will not find anyone who makes a natural fiber sling that lasts longer. These slings are not only historically accurate but they are tough! 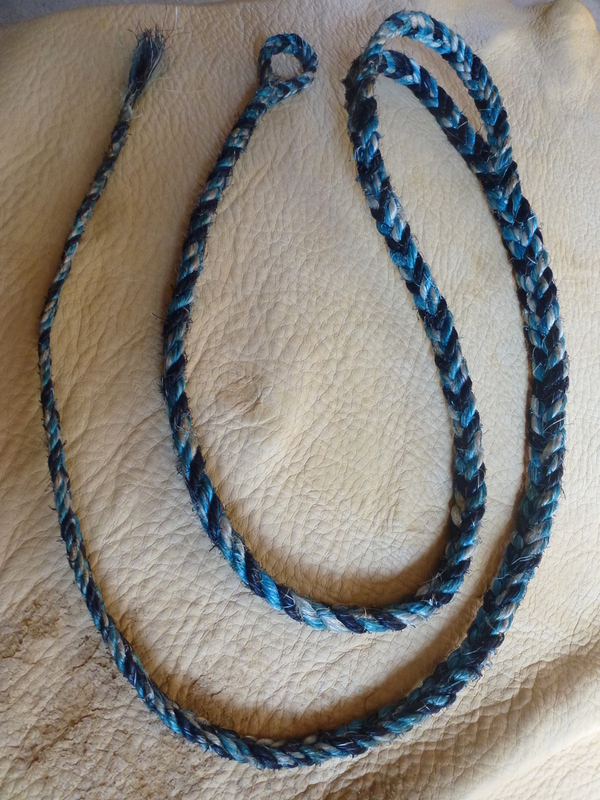 Because of their custom color and integrated spectra fiber whip with deer skin, the slings are $85 plus shipping.They are meant to throw rocks but can just as easily throw tennis balls. I highly recommend trying one of these slings! You will not be disappointed. 6 inch pouches so you can hold all sizes of projectile, custom made to length and color upon request. Private message me and I will usually respond within a couple days. 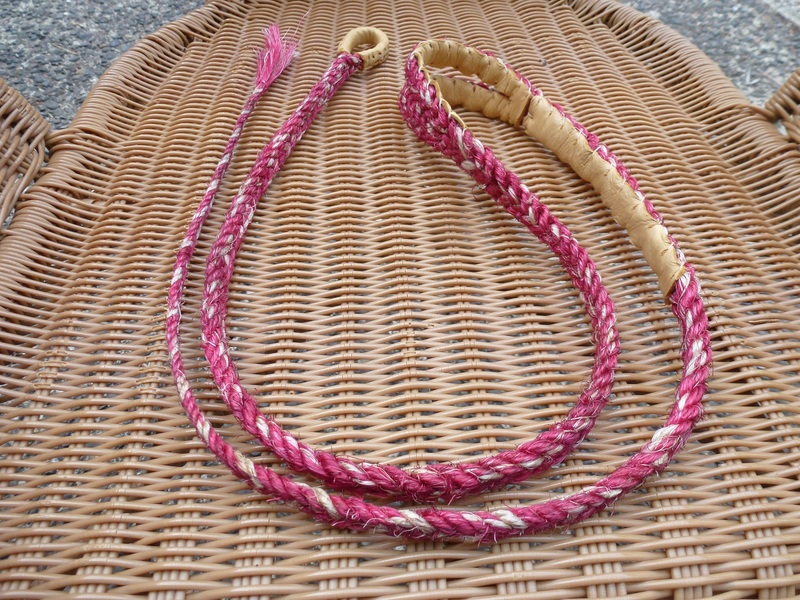 Slings usually ship in 4-6 days from order. All transactions are secured through paypal via the Etsy website linked above. Remember this has been a wilderness survival tool for thousands of years and must be used responsibly by an adult or with adult supervision. By purchasing a sling you agree to this. By purchasing you also agree that I am not responsible for any damages caused by the misuse of Huntsman Slings. Misuse means causing damage to other people's property, or harming any living creature intentionally or by accident. If properly used and cared for, your Huntsman Sling will deliver many fun filled years of use and enjoyment. Thanks for the business and I know you will love your sling! I need to say that Matt is honest sling maker. 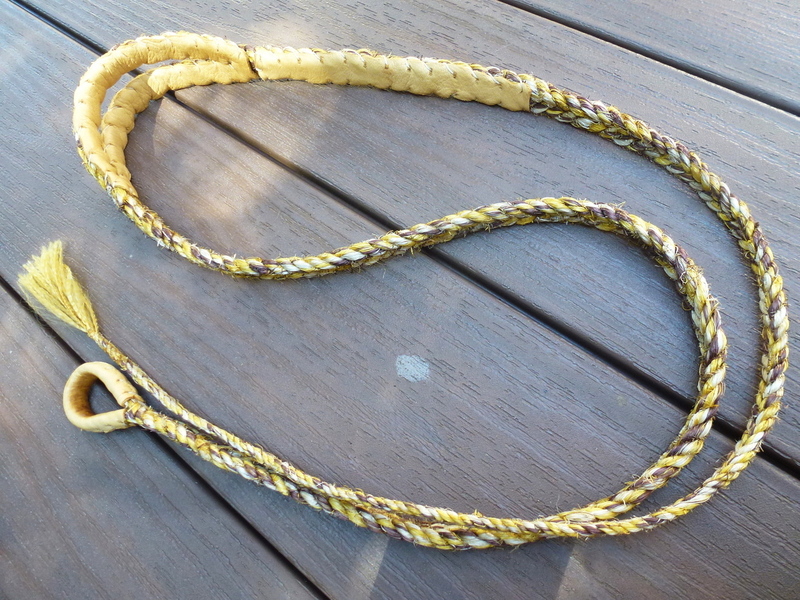 I ordered natural sisal sling with leather protection from Matt and Im very satisfied! beautiful, traditional and very comfortable sling. I had small issue with sling, nothing serious. I had no problems with reclamation, Matt solve this problem quickly and make me a good compensation for my troubles. I love my sling and surely I will turn on Matt again when I will need another quality made sling. This sling is worth of its cost. Matt so you lowered the price?